Terry Strange’s career path has spanned three continents over the course of nearly 40 years. Born in Louisville, Mr. Strange earned a B.S. and M.S. in chemical engineering from the University of Kentucky. A strong work ethic has been a driving force since his days as a student, when he typically put in 40 hours a week to pay his way through college. In 1973, he went to work for Dow Corning. His job took him to various sites in the United States. For the last 14 years, he was assigned to Europe, and most recently, China. Today, he’s back in the United States as the site manager and director building a green site facility for Hemlock Semiconductor, L.L.C. in Clarksville, Tennessee. The main focus throughout his career has been the supply chain function. However, his diverse career includes development engineering, production leader/process development engineer, production team leader and environmental manager and site manager. In 1990, Mr. Strange became the engineering/environmental manager for the Dow Corning facility in Carrollton, Kentucky. Six years later he was named the European environmental manager for Dow Corning, leading 16 European sites towards ISO 14001 Certification. As a production manager in 1998 for Dow Corning in Barry, Wales, he successfully launched and operated the largest expansion to date and integrated it into the existing facility operations. In 2001, Mr. Strange became the site manager and managing director for the Barry facility, followed by a transfer back to the United States to become the global silicone rubber supply chain director in 2004. Most recently, he served as site manager and director for the largest integrated silicone production facility in the world, Dow Corning Zhangjiagang Ltd. in China. In early 2009, he was named site manager for the state-of-the-art semiconductor facility in Tennessee, now under construction for Hemlock Semiconductor. Hemlock Semiconductor is a leading provider of polycrystalline silicon and other silicon based products used in the manufacturing of semiconductor devices and solar cells and modules. It is a joint venture of Dow Corning, Shin-Etsu Handotai and Mitsubishi Materials Corporation. In this new role, he is responsible for the development of all procedures, standards and job roles to commission, start-up and operate the Clarksville site. In addition, he is developing a community relations strategy for the Clarksville facility. Mr. Strange has a strong belief in community service and has made it a lifetime endeavor. He developed an industry support group for schools in Kentucky and Indiana that encourages science in elementary schools. 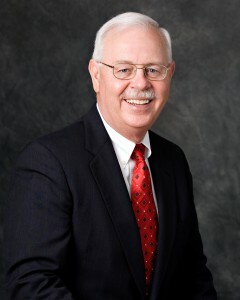 He is an active member of National Air and Waste Management Associations; served as chairman of Ohio River Valley Water Sanitation Commission Industry Group; and was president of Louisville, Kentucky, Hazardous Waste Management Association. Mr. Strange and his wife, Sue, reside in Clarksville, Tennessee. The have two daughters.